Could you go it alone? A young man is challenged to endure a week on his own with no social contact whatsoever in a new film made by BMB for Campaign to End Loneliness (CTEL). It’s the first campaign created by BMB, which won a competitive pitch for the CTEL account during the summer. The idea of the campaign is to create empathy for people who are socially isolated, particularly the 1.2 million older members of our community who are chronically lonely, and to motivate people to commit to doing something about it. It has been created in response to research showing that half a million older people in the UK go up to a week without seeing or speaking to anyone at all – a sad statistic that could easily be reduced with just a little effort. 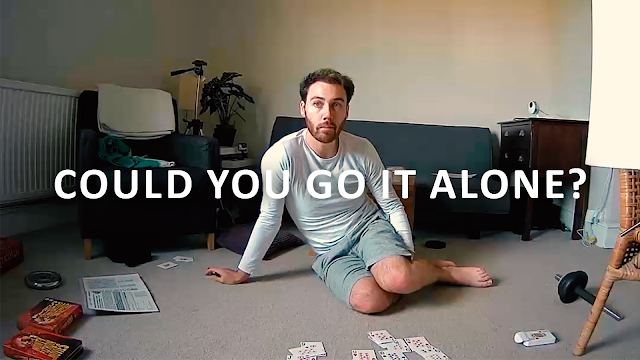 In the film, a young man called Joe records a video diary chronicling a week spent on his own in a flat, without any human or technological contact with the outside world. At the end of the experiment he is taken next door to meet a widower named Barry, and the two discuss their experiences of isolation. The spot will run as a three-minute film, with a shorter cutdown for social media.